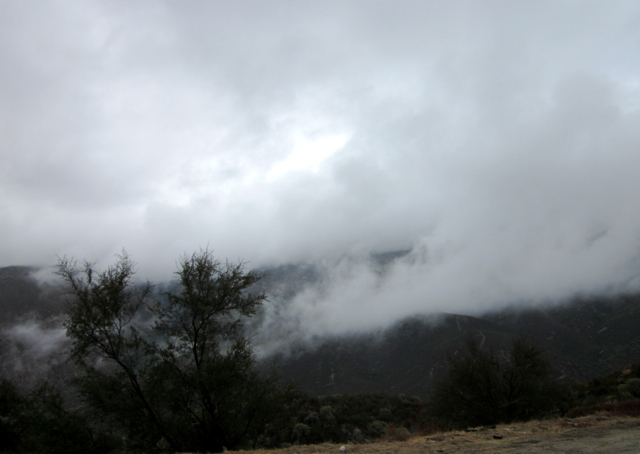 It rained hard everywhere in California on Wednesday. Could it be Nature's tears for Steve Jobs' passing? 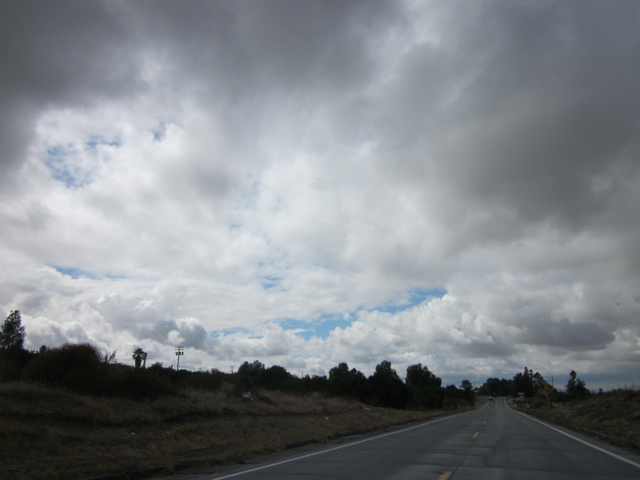 On Wednesday, Oct. 5, it had been raining all day. In Idyllwild, Hemet, Riverside and Los Angeles. Gray skies were everywhere. There was no escaping it. Cars and trucks drove too fast or too slow on the highways, spraying each other with blankets of rain. Traffic backed up for miles when one car skidded into another. “It’s good for the trees,” Idyllwild residents always say to each other when it rains. And the trees certainly looked happy, with their limbs outstretched to the skies, as if they were asking for more. I called Jeffrey Taylor, from Green Café, the local internet provider in Idyllwild, to confirm. Yep, the technical visionary who started Apple Computers and Pixar Entertainment had died of cancer at age 56. Jeffrey’s voice was heavy with sadness, something you can’t disguise. After college, Jeffrey had worked for Apple for 4 1/2 years. “They made me go through a month-long interview process, and open up an office in Valencia,” Jeffrey recalled. He was a computer programmer for Apple, often being part of group emails from Steve Jobs. He didn’t recall ever meeting Steve, but saw him at business meetings. “I had full access to Apple’s library,” Jeffrey said. His Apple experience he remembers with fondness, which later lead to jobs at Sony and NASA JPL. “You should see Apple’s web site right now,” Jeffrey said on Wednesday, but wouldn’t elaborate. (Apple had taken down its last product release and replaced it with a farewell message to Steve Jobs). “Ten percent of all tweets today are saying, “Rest in Peace, Steve Jobs,’” Jeffrey said. That means people tweeting not just in the U.S., but from around the world. Now the intense rain seemed perfectly fitting for a day in which an American icon had died. It rained like this when Princess Diana and Mother Teresa had died, and John Lennon too. It was as if the heavens themselves could not contain their grief. It rained hard all day when Princess Diana and Mother Teresa died too. Months earlier, Jeffrey had forwarded a You Tube video of Steve Jobs’ 2005 Stanford commencement speech. Steve hadn’t attended Stanford, or even graduated from Reed College, but he certainly had something to say. His words were truer than anyone with high academic honors. Steve’s mother, a graduate student, didn’t believe that she’d have the time to raise a child, yet was very particular about whomever adopted him must send him to college. The working class couple that adopted Steve had kept that promise. They had saved up their entire lives for his college education at Reeds. Yet, after six months, Steve didn’t know what he wanted to do, and said he was wasting their money. So that’s when he dropped out of college, but then dropped back in. For years, Steve, the un-college student, slept on friends’ floors, ate at soup kitchens and sat in on classes that had nothing to do with his major, such as calligraphy. 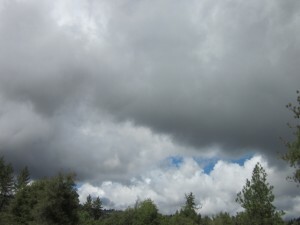 Idyllwild residents were happy for the rain, but sad about Steve Jobs. “That’s why Apple Computers were the first to offer different type fonts,” Steve had said in his Stanford speech. He would have never taken that calligraphy class had he not dropped out and tried new classes. Later on, Steve was fired from Apple Computers, the company that he had co-founded in his basement. How could that have happened? Steve said he floundered a bit, and then started another company, which was eventually bought by Apple. So his life came full circle, but he had changed. One thing that Steve has taught us is that one man can make a difference. Over the years, every time Apple would release a new product, it was more impressive than the last. Only one man was capable of doing that each and every time: Steve Jobs. Ask any young person today what their life would be like without their Apple laptops, iPhones, and iPods. Not just computer geeks were sad about his passing, but everyone from heads of state to we as average Joes. 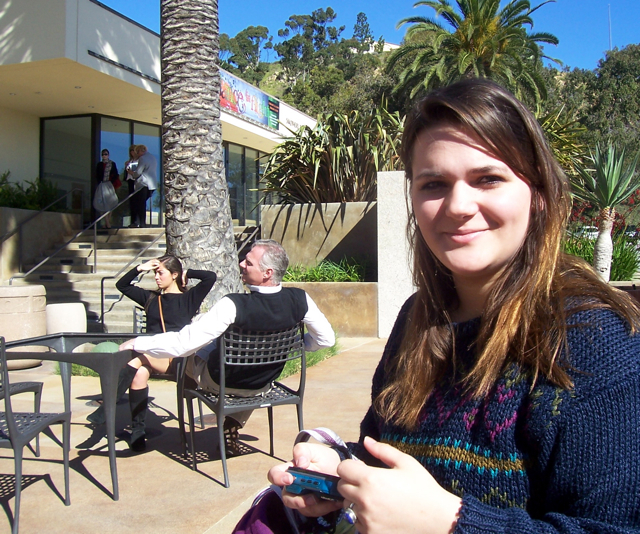 The first time that I heard the name, Steve Jobs, was from a film student at Idyllwild Arts Academy, Jeanne Catmull. Her father, Ed Catmull, worked with Steve at Pixar Entertainment, and she knew him. On Feb. 7, 2009, Jeanne’s dad was getting the Gorden E. Sawyer Award, a lifetime achievement Oscar from the Academy of Motion Pictures Arts and Sciences. 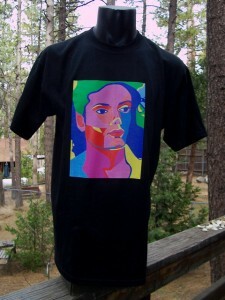 Jeanne was going to the ceremony with him in a dress designed by another Idyllwild Arts student. Quoi Alexander had come to Idyllwild Arts after Hurricane Katrina had wiped out his high school. He is now studying fashion in England, while Jeanne is at USC. Quoi’s two-tone felted dress looked great on Jeanne. Tucker McIntyre, who heads up the Transportation Department at Idyllwild Arts, had taken a picture of Jeanne and Ed Catmull the second they appeared on TV. “The media will pay attention to us if Steve Jobs goes with us,” Jeanne had told me as we were driving down the hill in the school van. Who was Steve Jobs anyway? I didn’t know who he was back then, yet I had already purchased my third Apple computer. Steve Jobs started with an idea in his basement, and never gave up on it, against all obstacles. Yep, we can all learn from him, a man who came from humble beginnings, but used his smarts and tenacity to change the world. “Don’t let the noise of others’ opinions drown out your inner voice. And most important, have the courage to follow your heart and intuition,” said Steve Jobs. For inspiration, visit his 2005 Stanford Commencement Speech on You Tube.